The SPAR Daily Dispatch Summer Fun Run continued to grow in popularity when more than double the amount of entrants competed in the event in East London on Sunday compared to last year. 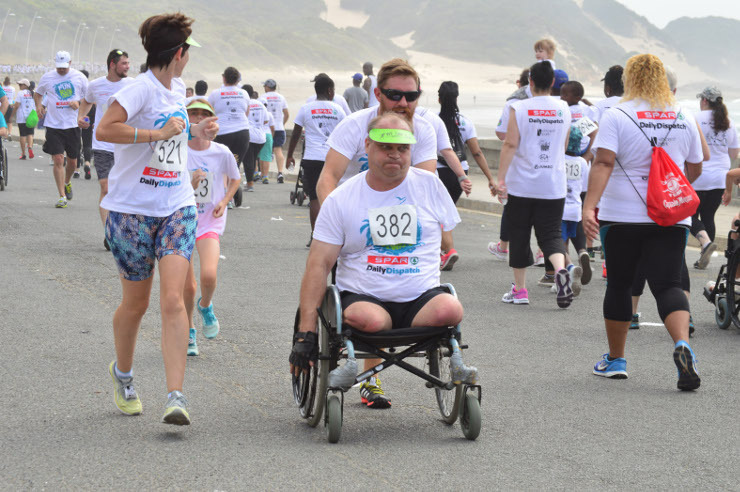 Around 2 500 enthusiasts took part in the 8km and 4km races from the Orient Pools on the city’s Esplanade, with the emphasis on family participation and supporting those with disabilities. Daily Dispatch advertising manager Suren Packery said both these aspects had shown “exponential growth”. “For instance, we had entrants from month-old babies in prams to an 82-year-old doing the race,” he said. Packery added that the wheelchair-friendly nature of the course was a key factor and a big incentive for those with disabilities to take part. In addition, he said the association with SPAR Eastern Cape was a big factor in the success of the event. Daily Dispatch marketing manager Jennilee Peremore said it was a key part of their calendar. “We’re proud that the event has more than doubled in entries from last year,” she said. SPAR EC sponsorships and events manager Alan Stapleton said they were delighted to be involved in an event which has been in place for four decades. “True to the family and healthy living values that we stand by, the SPAR Daily Dispatch Summer Fun Run allows us to give back to the East London community, which has been so instrumental in the company’s success in this region,” he said.